I love the holidays. It’s a time for family, reflection and shopping. During this time of the year, we should remember how much our spending can positively affect Black owned businesses. The total Black spending power is on its way to a record $1.5 TRILLION by 2021. Keeping this in mind, Black people are currently at a unique place of power—at the intersection of commerce, culture and consciousness. As the holidays approach (21 days until Christmas and yes, I’m counting) let’s make it a point to #BuyBlack this season and invest our holiday money into our own communities. Here’s a roundup of 20 Black owned businesses to shop this season for everyone on your list from the makeup obsessed to the one who has everything. 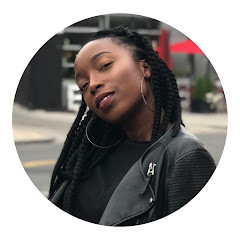 Dipped Cosmetics is a cosmetics line geared towards makeup enthusiasts of color and sets out to bridge the gap in representation within the world of beauty. Of course I had to include Riri. Shoutout to her for including ALL of us. I love this woman. Juvia’s is a cosmetic brand providing customers with rich, vibrant and highly pigmented colors. They provide beauty enthusiasts an affordable collection of colorful eye shadows, makeup tools and beauty essentials. Coloured Raine is a collection of bold, colorful, cruelty-free cosmetics that encourages self-expression and diversity. The Woodshop is a NYC based womenswear brand for the woman who is not afraid to add a piece of art to her closet. Oh and the entire site is currently 20% off. You’re welcome. To be free is to have gone through confinement and pushed through the barriers. Capsulated embraces confinement as a marker of our growth. Capsulated is a reflection of the journey from the L train to a global enterprise. And they’re latest collection is dropping soon (peep the exclusive image above). Stay tuned. Matte Brand has all of your must have basics—and then some. Matte is about minimalism, femininity and comfort and they do it well. Grayscale has every piece you didn’t know you needed (flare pant sequin, I’m looking at you). Influenced by American eras, cultures and their catalysts, E Pluribus Unum Out Of Many, One focuses on timeless, vintage styles and imagery with a modern essence and a satirical undertone. BabaAfrik Outfits is an African-Inspired clothing line focused on changing people’s perspective about the African culture by incorporating the African fabric in our everyday lives. All of BabaAfrik’s clothing is hand-made in Nigeria using authentic African fabrics. Navabella’s all-natural, handmade soy candles and beautiful gift sets are perfect for gifting. In my opinion, you can never go wrong with a candle. Maison Noir is a two-fold lifestyle project producing both a T-Shirt line and Oregon wines. Both ends of Maison Noir incorporate a trademark attitude and personal perspective on wine subculture. PopxTwo is a NYC based art and curation company merging artistic prowess, social awareness, and popular culture to produce artwork of the highest quality. For your intellectual squad, Call Number is a monthly book subscription box celebrating black books and authors. Aramis Hamer is an artist based in Washington whose surreal colorful designs can be purchased on canvas, accessories and clothing. My Filibo celebrates our heritage and the beauty of who we are in the most fanciful and adorable manner. They produce lapel pins and other accessories designed with deep rooted meanings. Mary Louise Cosmetics is dedicated to producing the highest quality natural skin care products on the market. They aim to provide both men and women with healthy, glowing, and radiant skin. Say less. Elle Vie’s butters and body oils only use quality ingredients. Custom gift sets make this a perfect gifting option. Bahi was created to cater to everyone; every shade and every skin type. Their goal is to create a new standard for the industry with natural ingredients that work for all women. Know of any other Black-owned businesses that should be included in this round up? Comment and let me know.